Bulgarian defence experts have ranked the offer by Sweden?s SAAB-Gripen to supply new multi-role fighter jets to the Bulgarian Air Force as the best received ? but on April 26, the caretaker government in Sofia decided to leave to the coming Boiko Borissov government all decisions on negotiations and further steps. It will be up to the next government, expected to take office in early May, to decide whether to negotiate solely on the acquisition of Gripen fighters or also to talk to the other two bidders, Portugal and Italy. The latter two countries offered Bulgaria not new fighters, but second-hand aircraft: in the case of Portugal, US-made F-16s, and in the case of Italy, Eurofighters. Earlier estimates were that the deal was expected to cost about 1.5 billion leva. Sweden?s Gripen offer was seen as having the advantage not only of the aircraft being new, but also that the first deliveries could take place within an 18-month timeframe, and the offer was more price-competitive than the other two. Gripen also has put forward a comprehensive package including an easy payment plan, as well as pilot and technical training components, among others. The cost will include eight fighter aircraft, ground equipment, weapons and simulators. Because the price tag exceeds 100 million leva, the deal will be subject to approval by the National Assembly. A Nato member since 2004, Bulgaria has only a small fleet of ageing Russian-made MiG fighters which fail to meet Nato standards. 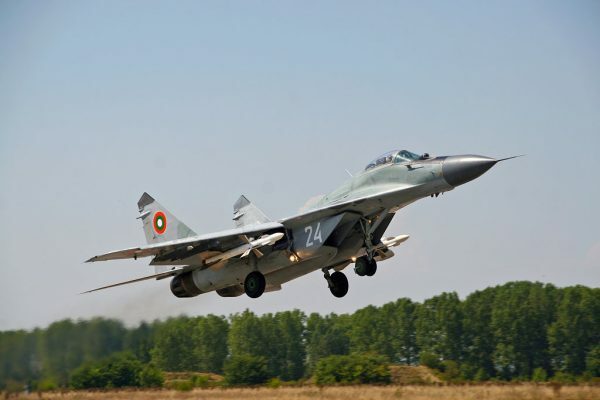 A succession of governments in Sofia have failed to conclude a deal to acquire the new multi-role fighter aircraft.